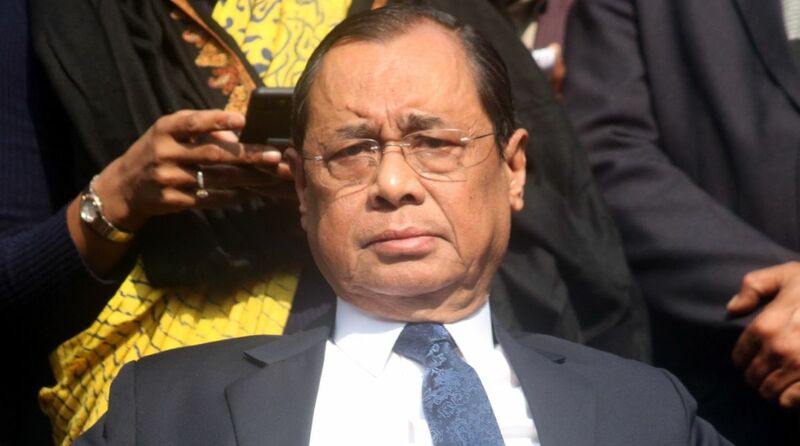 Chief Justice of India Ranjan Gogoi warned on Monday that the nation will descend into chaos if attention is not paid to the Constitution. Addressing a gathering at New Delhi on the occasion of Constitution Day, the CJI said that the Constitution has been the guiding force for the nation and acts as the voice of the marginalised. “Our constitution is voice of marginalised and prudence of majority. Its wisdom continues to guide us in moments of crisis,” he said. “It’s in our best interest to heed advice under constitution. If we don’t, our hubris will result in sharp descent into chaos,” he added alluding to the instances in recent past which have led to some sections alleging that the Constitution is being undermined. Sir Ivor Jennings was a British lawyer who served as the Vice Chancellor of University of Ceylon (1942–55) and University of Cambridge (1961–63). Union Law Minister Ravi Shankar Prasad said that the Indian democracy has the confidence of removing even the most powerful governments in the Centre and the states. “We need to trust India’s democracy because they have this confidence we can unseat any political leader or political party howsoever popular, howsoever powerful in Delhi or in states,” he said. “Ordinary Indian’s sixth sense and DNA of his inherent trust in Indian democratic process, regardless of his religion, caste, community, economic status or literacy is the most defining moment of India’s constitutional governance,” he added. Commenting on the faith the makers of the Constitution placed in the people of the country, Prasad said that this trust “is one of the most outstanding attribute of our Constitution making”. “There were naysayers (who said that) India is not fit for democracy. Maybe they had a point – there was partition, millions had been killed, displaced. Yet the trust in the people of India stands vindicated today after 70 years. The people of India today know who they are and what they owe to themselves,” he added. In his speech on the occasion, President Ram Nath Kovind called for increased awareness about the Constitution among the people. Earlier today, Prime Minister Narendra Modi greeted the nation on the occasion of Constitution Day. The Prime Minister also shared a link of the audio of his monthly radio broadcast programme “Mann Ki Baat” of Sunday where he spoke in length about the contribution of Ambedkar, who drafted the Indian Constitution. Constitution Day, also known as the “Samvidhan Divas” is celebrated every year on November 26 to mark the day on which the Constitution of India was adopted. The Constitution of India was adopted on November 26, 1949, before it came into force on January 26, 1950. It was on November 19, 2015, when the government with the help of a gazette notification declared November 26 as the Constitution Day.